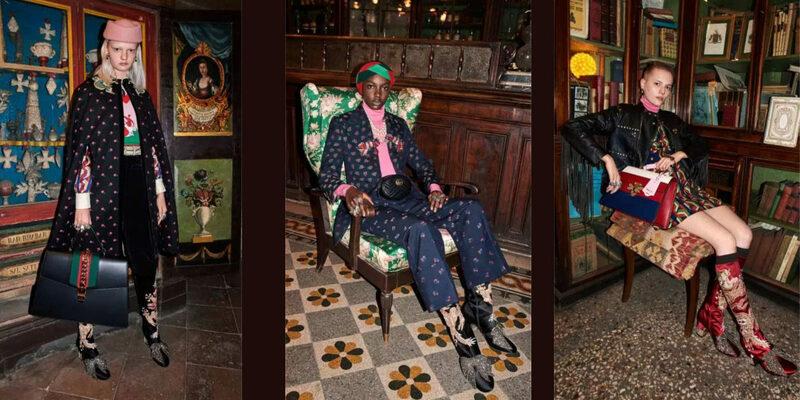 Gucci has been all over the internet this week. The Spring Summer campaign 2017 witnessed some unusual elements. Along with some fresh faces like Daisy Cvitkovic, Dwight Hoogendijk and Lorens Miklasevics, the campaign features majestic visuals of Lion, Leopard and Tiger. These campaign images were shot at various locations including hotels and cafes in and around Rome. 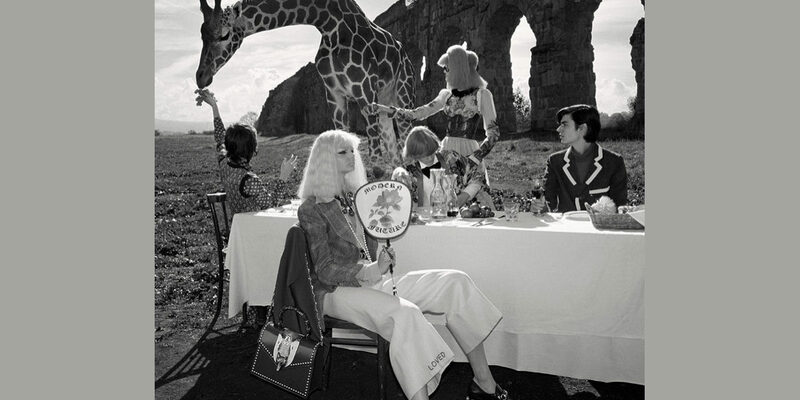 The campaign showcases the Spring-Summer collection by Alessandro Michele which has been inspired by 70s nightclub. 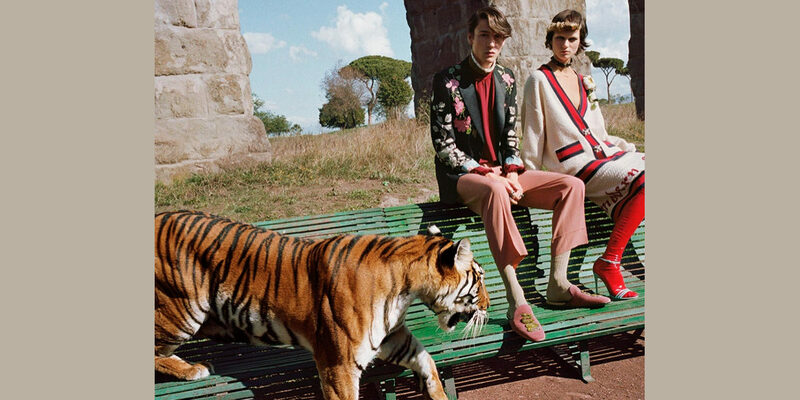 Gucci has added a lot of surrealness to their campaign this year by bringing the wilderness into it. This new campaign marks tribute to personalities like Cy Twombly, Mario Schifano and Laura Betti resulting in an unconventional and eccentric concept for the campaign. 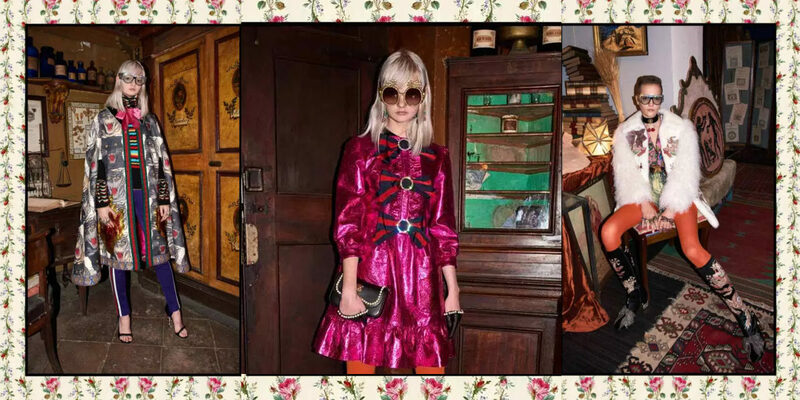 Alessandro Michele’s vision is pure fantasy and that is very much visible in his collections. After the Spring-Summer collection, the Pre-Fall 2017 collection also show various layers of his imagination in the form of his designs. It is because of his imagination that you can see elements like UFOs, rainbows, dragons and flying carpets in the collection. 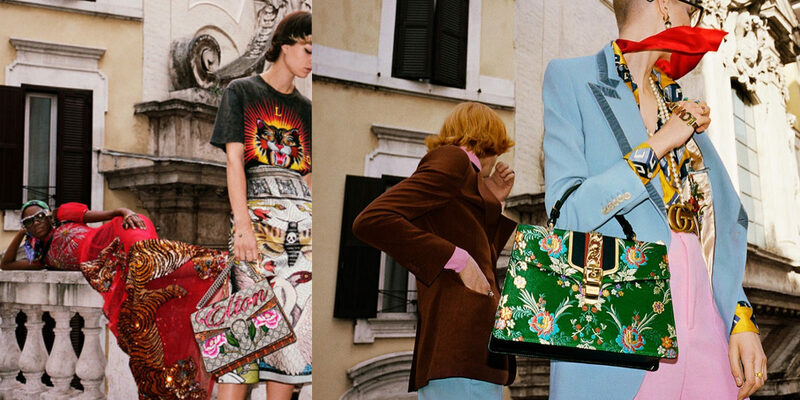 The lookbook for the pre-fall collection was also shot in Gucci’s own home, Rome. Two historic locations were chosen for the shoot- Antica Libreria Cascianelli and Antica Spezieria di Santa Maria della Scala. Antica Libreria Cascianelli is an old bookstore that specializes in art history and the Antica Spezieria di Santa Maria della Scala is a 16th-century apothecary that apparently catered to popes. The location was a perfect classic backdrop for the campaign. You can witness the 80s style leggings back in action in the collection. Yes, leggings knitted in mushroom pattern with bedazzled Gucci logo. Fitness and active wear were also the part of the collection. The skin-tight stirrup pants can be worn under skirts, shorts and shirt-dresses. The tracksuit with Gucci’s signature floral print and ruffled shoulders and the new Marmont bag belt cinching its waist, is the highlight of the active wear. Oversize bombers, hooded sweaters and multi-colored chiffon dresses have been featured in the collection. 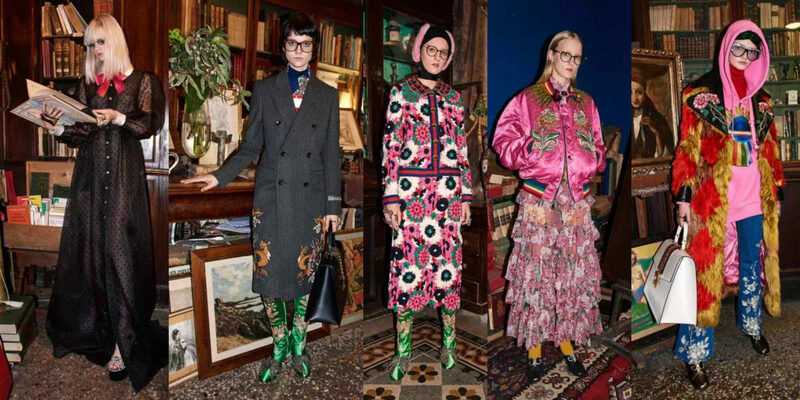 As expected from Gucci, the collection is bright, lively, playful and highly rich in terms of decoration. It is meant to grab attention!